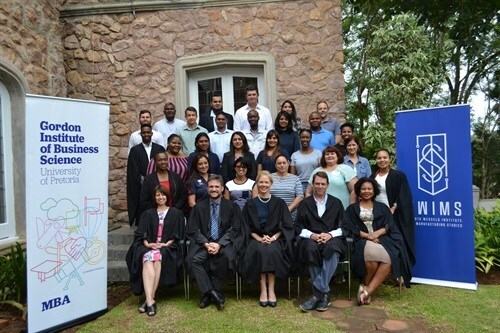 In a partnership with the new Toyota Wessels Institute for Manufacturing Studies (TWIMS), the University of Pretoria's Gordon Institute of Business Science (GIBS), has launched a Postgraduate Diploma (PGDip) and Masters of Business Administration (MBA) in Durban which is be focused on the manufacturing industry. The degree will resonate with managers who are looking to gain a deeper understanding of the fundamentals of business in a manufacturing context. Classes commenced on 1 March. GIBS Dean Professor, Nicola Kleyn says, “Given the strategic importance of manufacturing in both South Africa and our broader African continent, we are delighted to be working with the Toyota Wessels Institute for Manufacturing Studies to build managerial skills attuned to this important sector”. Programme formats, teaching methods, and core electives are changing globally and GIBS, which is consistently ranked among the top 100 business schools globally and more recently in the prestigious Financial Times Executive MBA Ranking, continues to heed the call by giving students content that is relevant to the current context. The PGDip and MBA programme is completed in 23 months of part-time study in a format that includes manufacturing-focused electives, such as; future manufacturing, Africa trade and industrialisation, green manufacturing, advanced lean operations management, and lean supply chain management. The programme also includes a dedicated global manufacturing module encompassing exposure to leading manufacturing environments globally. “The GIBS MBA aims to give students a competitive edge and prepare them to become impactful leaders who are able to lead and transform their organisations to become more successful in a sustainable way.” adds Professor Kleyn.